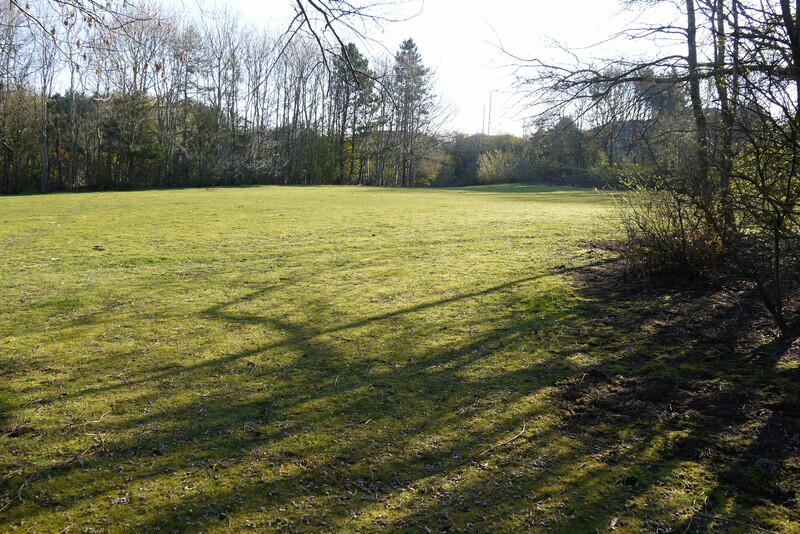 Hoppers Estate Agency are pleased to market this rarely available larger style villa in a highly desirable location with a pleasant open outlook over a large wooded green. 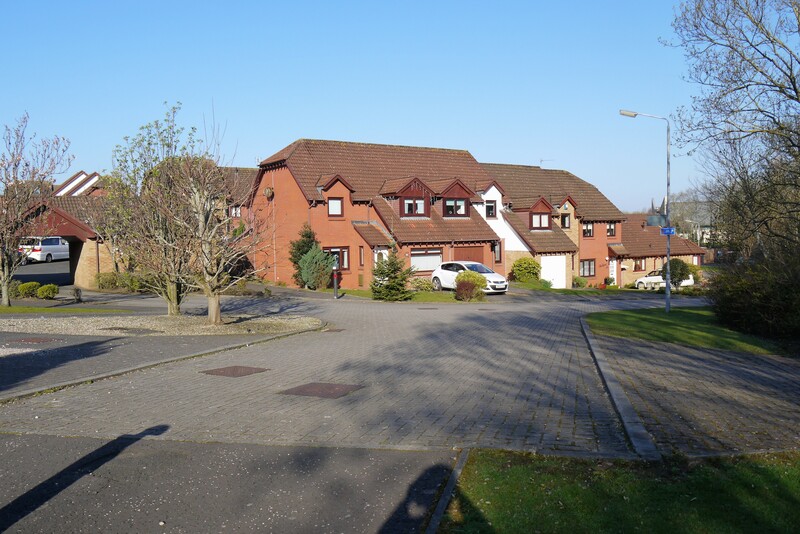 Tucked away in a quiet cul-de-sac, the property is just a short walk from Old Prestwick Golf Course, Prestwicks popular Main Street, the train station and Prestwick Beach. 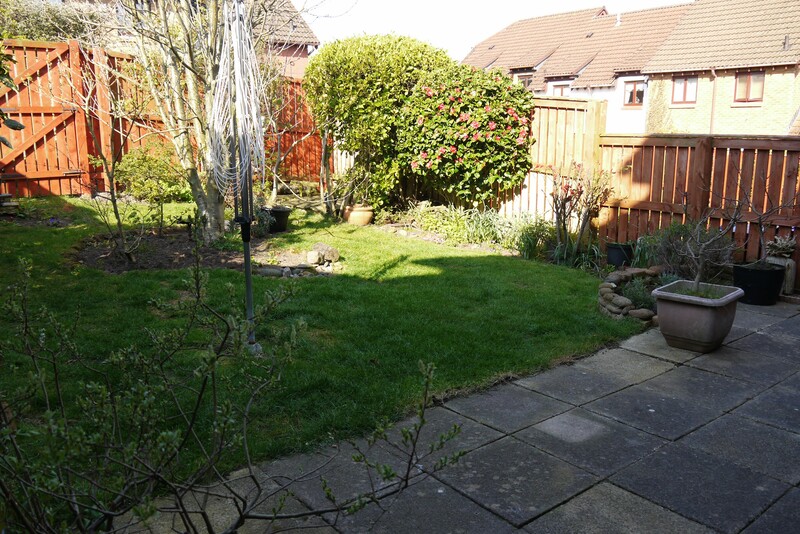 With 2 reception rooms and 3 bedrooms, this spacious, light property has a recently installed modern bathroom and en-suite shower room, and the current owners have renewed the gas central heating and double glazing. 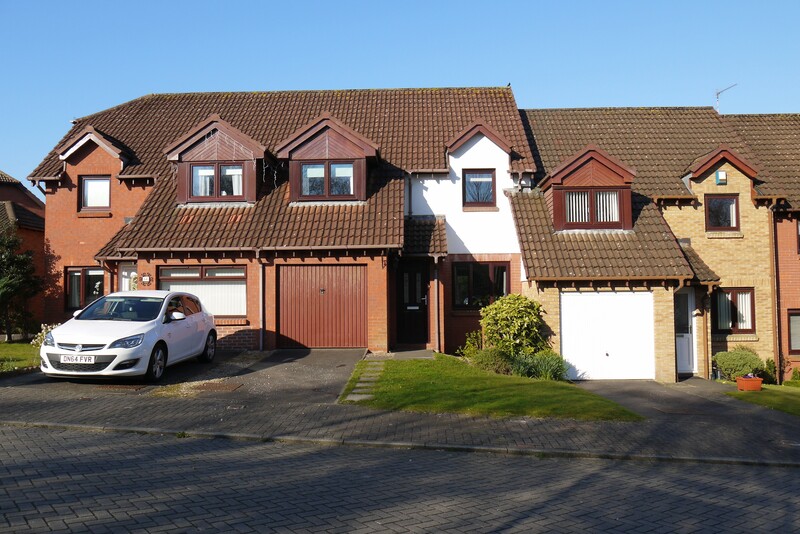 With an integrated garage, front and rear gardens and a driveway, viewing is advised to appreciate the scale and setting of this lovely home. A double glazed door leads to a small hall with a side facing double glazed window and oak effect vinyl flooring. 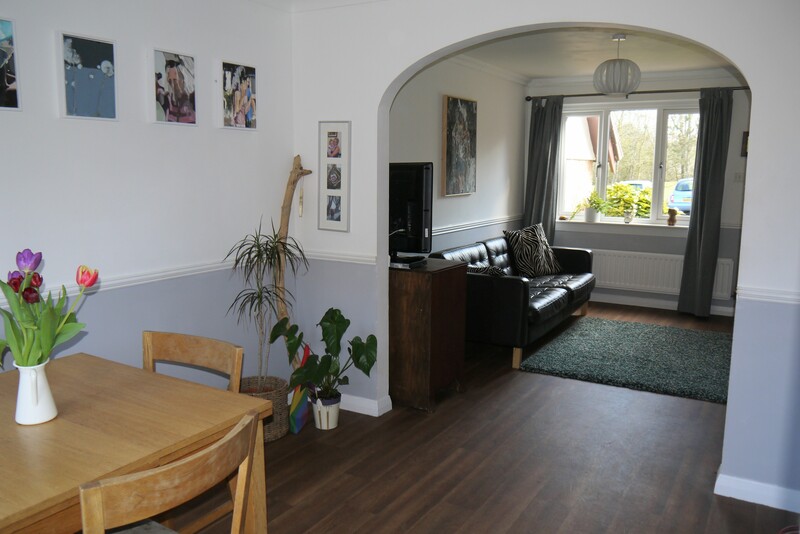 The lounge has a front facing double glazed window, oak effect vinyl flooring and radiator. 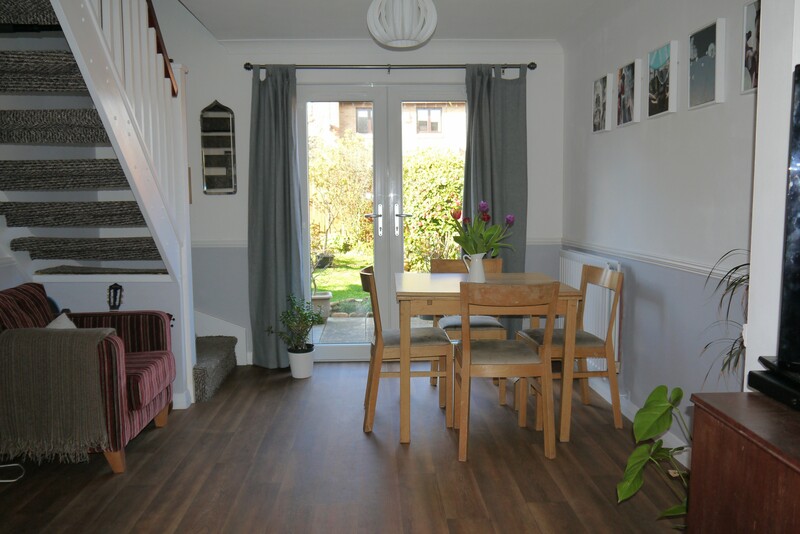 The bright dining room has rear facing double glazed patio doors to the garden, oak effect vinyl flooring and a radiator. An open-tread staircase leads to the upper floor. 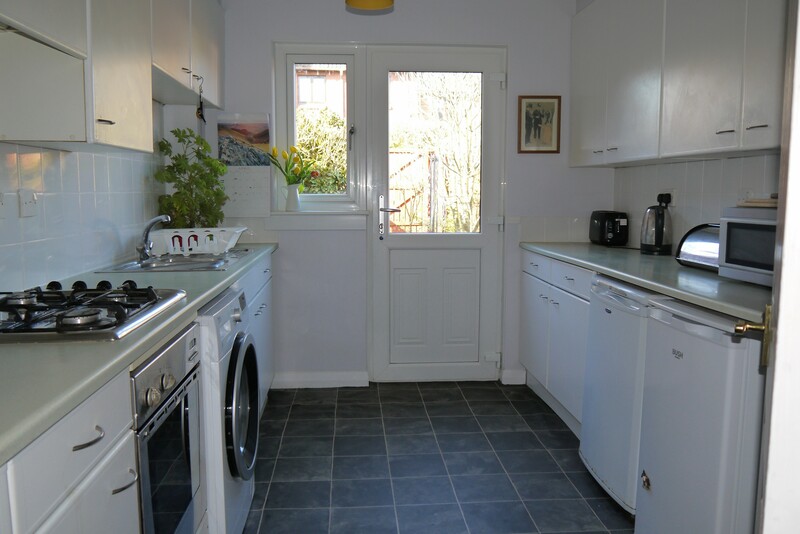 The kitchen has a rear facing double glazed window and door to the garden, vinyl flooring and a radiator. There is a large walk-in cupboard measuring 8'9x3'3 approx. 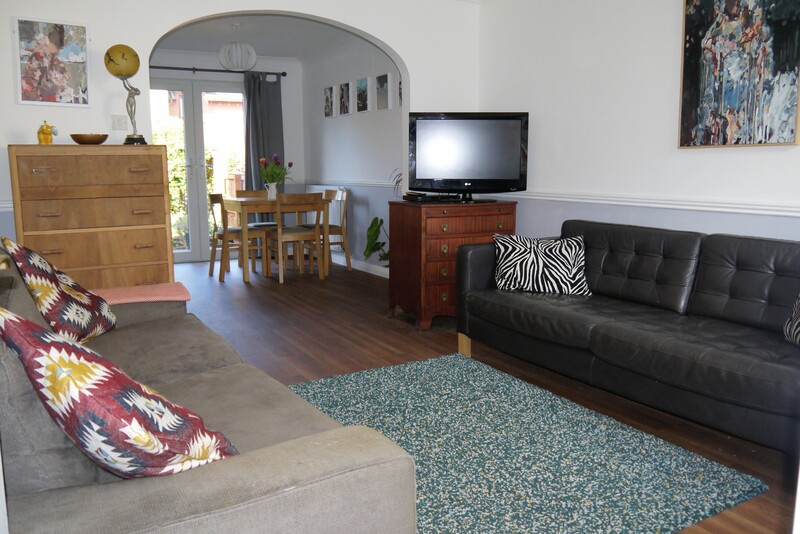 The kitchen is partially tiled and fully fitted with white wall and base units with matching worktops and a stainless steel electric oven and hob. 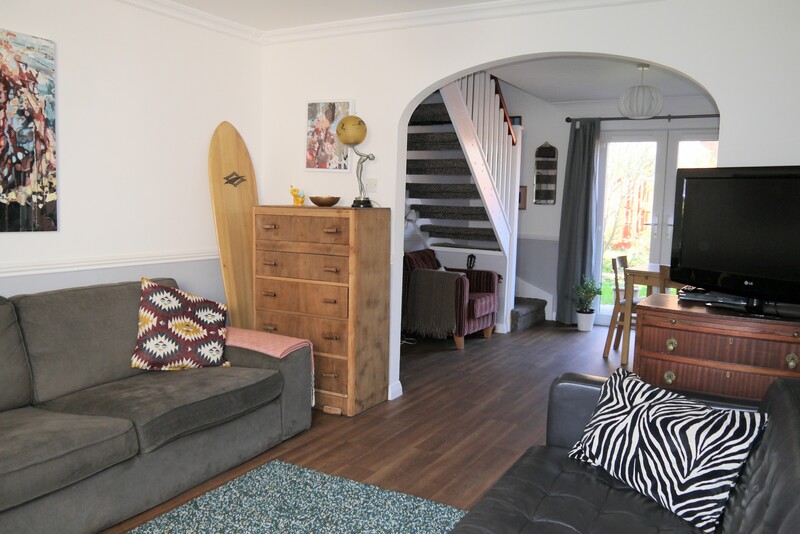 The staircase leads to a landing with fitted carpet and radiator. There is access to the loft by Ramsay ladder. 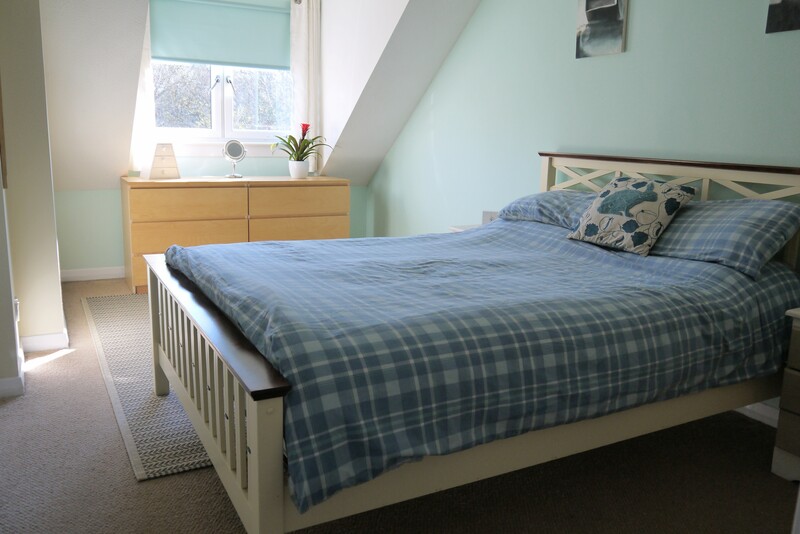 The light, spacious master bedroom has a front facing double glazed window, neutral fitted carpet and radiator. 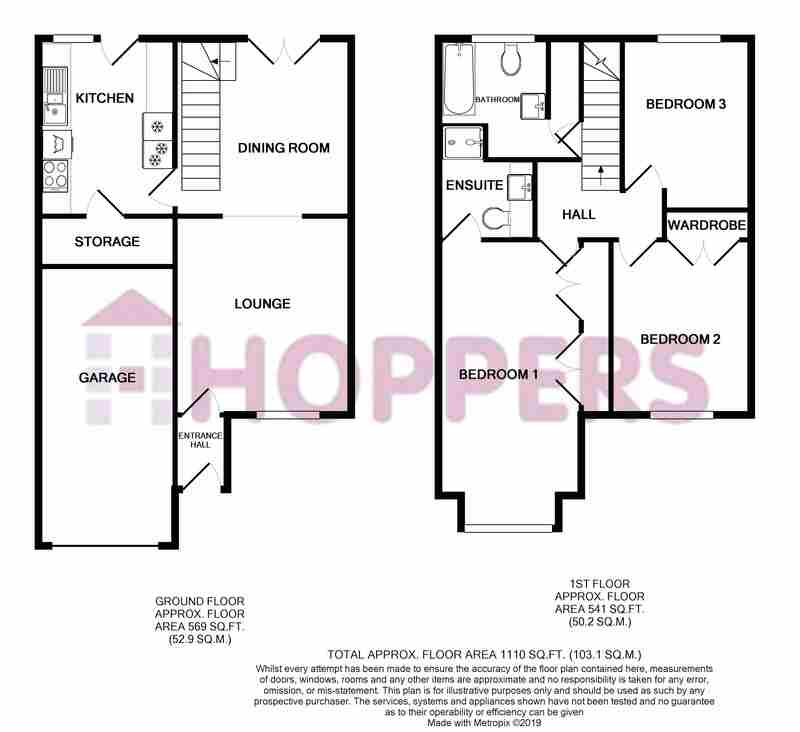 There are fitted wardrobes with white folding doors and an en-suite shower room. 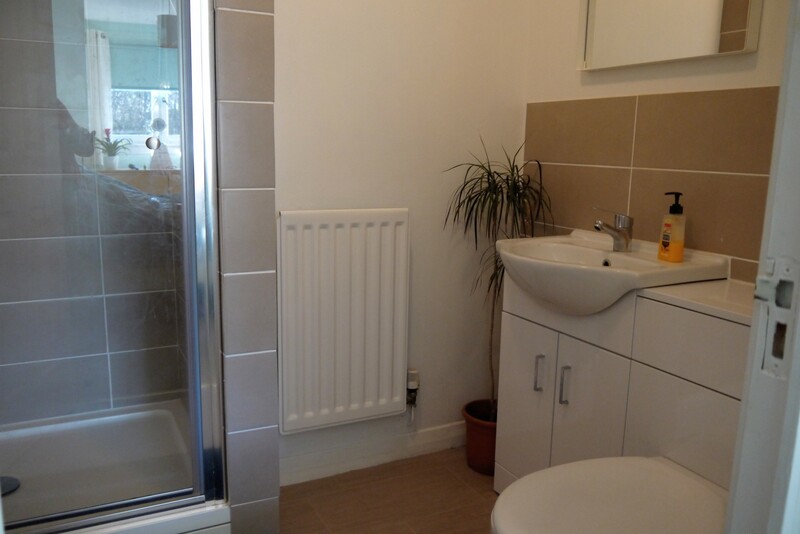 The modern en-suite is partially tiled with vinyl flooring and radiator. There is a white suite comprising shower cubicle, wash-hand basin and WC with concealed cistern, both in white vanity unit. 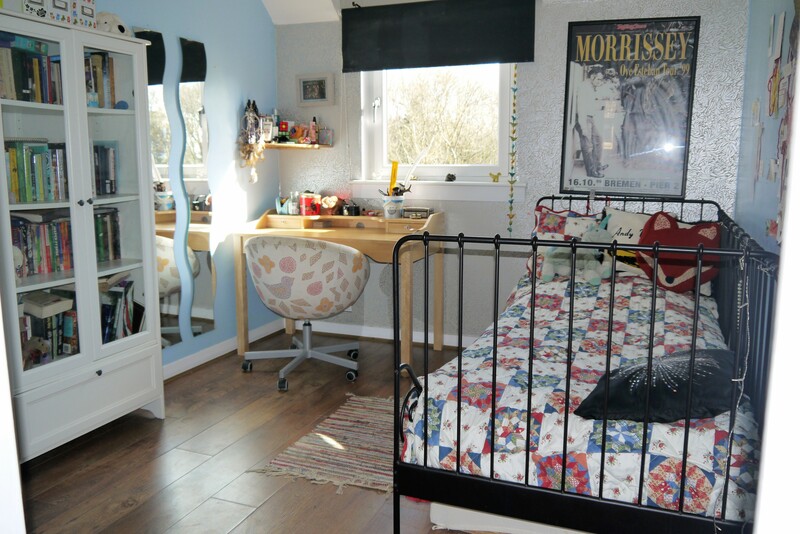 This bedroom has a front facing double glazed window, laminate flooring and a radiator. 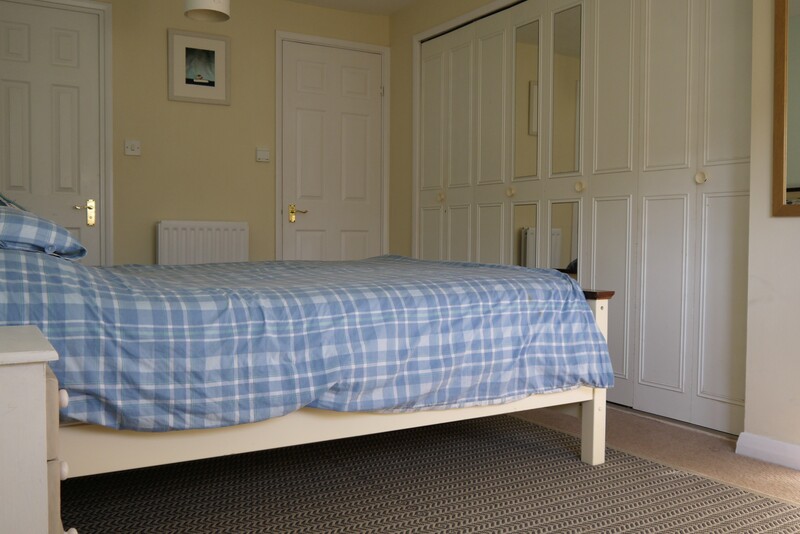 There is also a fitted wardrobe with folding doors. 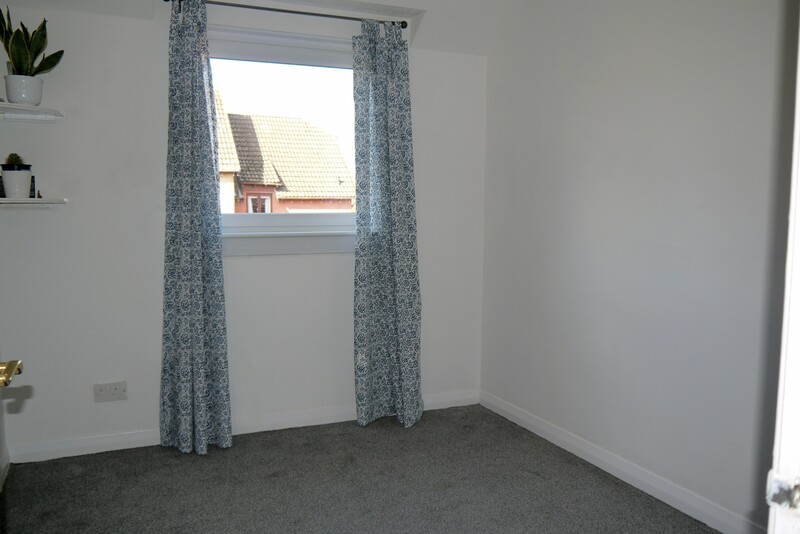 This bedroom has a rear facing double glazed window, fitted carpet and radiator. With good sized storage cupboard. 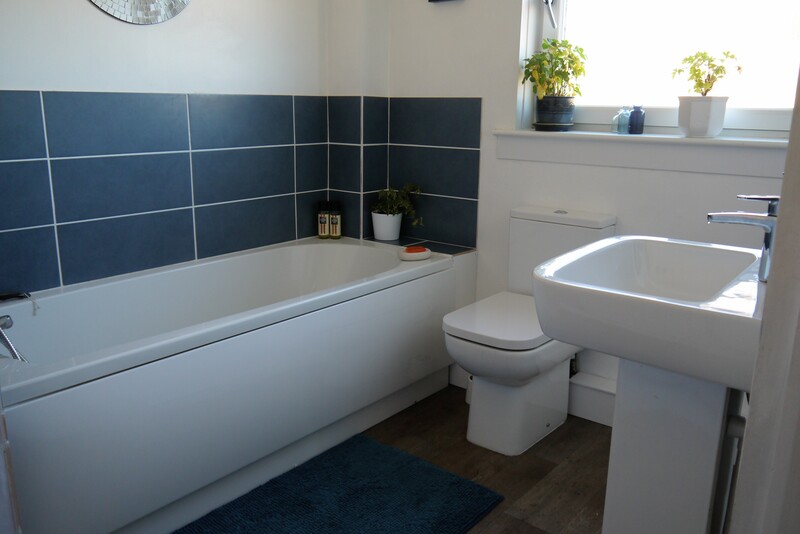 The modern bathroom has a rear facing double glazed frosted window, vinyl flooring and radiator. It is partially tiled and has a stylish white suite comprising bath with shower above, WC and wash-hand basin. There is a large walk-in airing cupboard with wall mounted combi boiler. 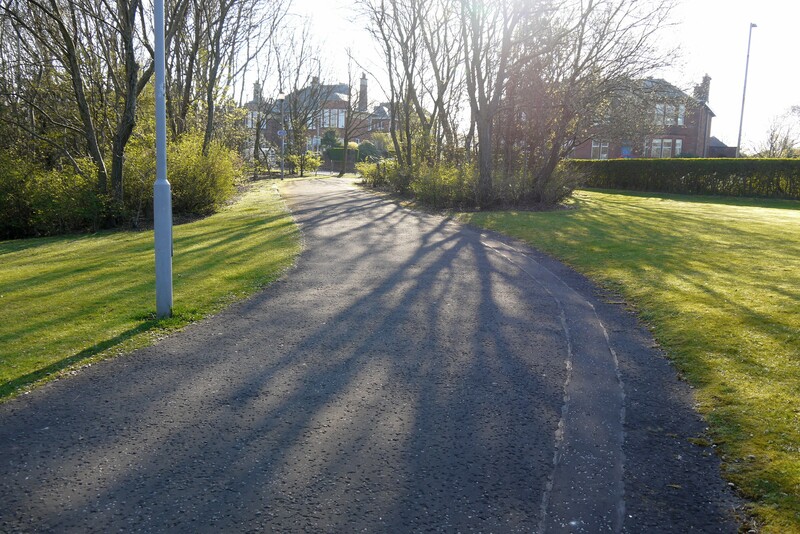 There is an easily maintained front garden, mainly laid to lawn with paved pathway. 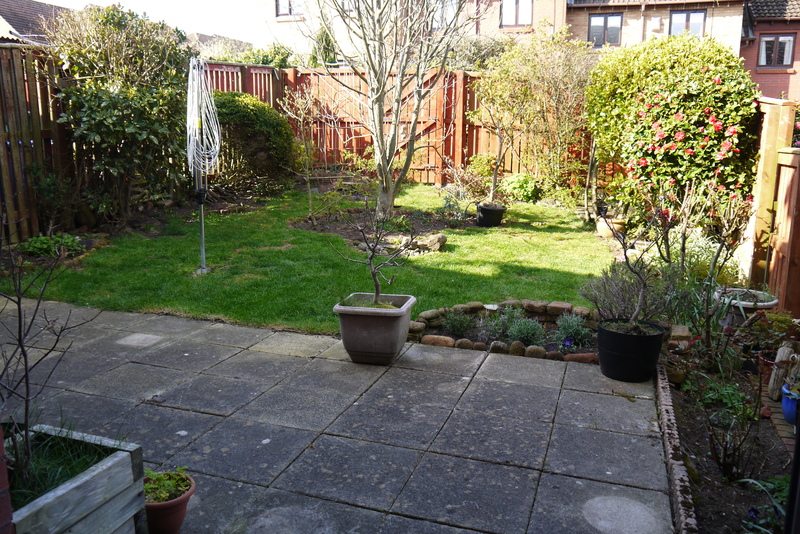 There is a mature, fenced rear garden, mainly laid to lawn with planting borders and beds and a paved patio. 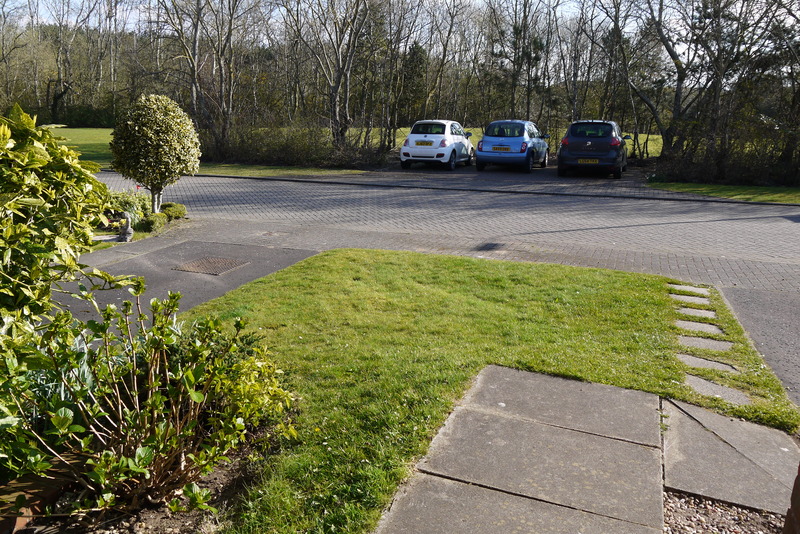 In addition to the drive and garage there are additional parking spaces for residents and visitors. Blinds, curtains and kitchen appliances are available by negotiation if required.